Are you wondering what trends we can see in the plumbing trade for this year? How will technology affect our industry? Is there a significant increase in plumbing jobs? How will recent advancements such as smart appliances affect our profession? What can we do to continue fulfilling and exceeding the expectations of our customers? Whether you’ve been in the trade for decades or you have just started your plumbing job, there are always going to be changes in the field as time goes on. And many plumbers appear to agree with the following statement: technology helps make the job easier more undemanding. It allows us to offer our customers faster and more effective products and services. Looking for a Plumbing Apprentice Position? Get in Touch! Additionally, technological advancements in the industry allow plumbing businesses to operate their current structure in an efficient and profitable approach. Thus, as with other industries, modern technology has helped and is continue helping our industry progress, evolve, and adapt to the future. Here are some of the emerging trends we can expect to continue seeing this year in the plumbing industry. For the past several years, the internet has changed the way businesses operate – particularly in how they interact and communicate with their customers. In 2019, we can expect to see the growth and continued importance of online engagement. When customers need a product or a service, they go online. This is true for any type of construction or home improvement provider, not only plumbing. Thus, your online presence will directly and significantly influence whether a potential customer will want to employ your services or not – or if the customers can even find you online in the first place. Other than making sure you have a functioning and captivating website and claiming your Google listing, you should also consider putting some effort into your social media presence. Social media has paved the way for businesses – local or not – to connect with potential customers and to address current ones. You can opt not to invest in paid social media advertisements. And if you don’t want to do that, you can join in local Facebook groups about plumbing jobs, construction, or home improvement. Just make sure the groups are specific to your jurisdiction so you can still try to reach potential leads. By joining these social media groups, you can offer useful information and participate in discussions that would greatly interest your target customers. We’ve discussed the importance of your online presence; another essential facet of that is making sure your website is mobile-responsive. People, nowadays, use their mobile phones – other than traditional computers while navigating the web. And when it comes to searching for local service providers, they are also on their phones doing that. A mobile-friendly website is built to look good and function well on any type of screen – so it can be used on any device. If your plumbing website is outdated and not built with this feature in mind, then you might as well say goodbye to potential clients. If they can’t even load your homepage or navigate your site correctly to find the information they need, then they will undoubtedly move on to the next business on their search list. There are numerous plumbing professionals today. In 2018, there are over 120,000 plumbing companies across the country – and that number is continuing to increase. While these figures mean more competition among plumbing companies, don’t fret just yet. The demand for plumbers is just as high. Increase in economic performances equates to a growth in new construction. Additionally, regular plumbing maintenance services are also necessary for all infrastructures. Thus, there’s never going to be a shortage of plumbing jobs – at least not for many years. Plumbing companies, aside from using the internet to engage with their customers, also use it to attract potential new team members. Many of them offer paid apprenticeship programs to be a certified plumber. This effort helps future plumbers obtain practical knowledge to help them perform better on the job. Many people are recognizing this demand and are entering the industry. 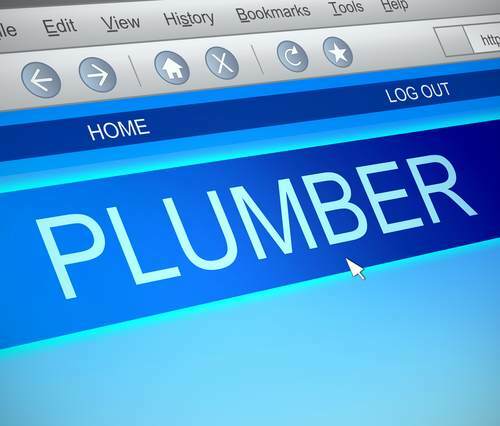 The Bureau of Labor Statistics expects a 16 percent increase for plumbers from 2016 to 2026. 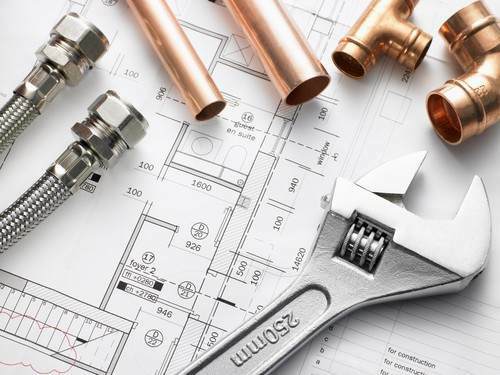 If you’re interested in starting a plumbing career, we’ve written a post on what useful skills and traits plumbers should possess.